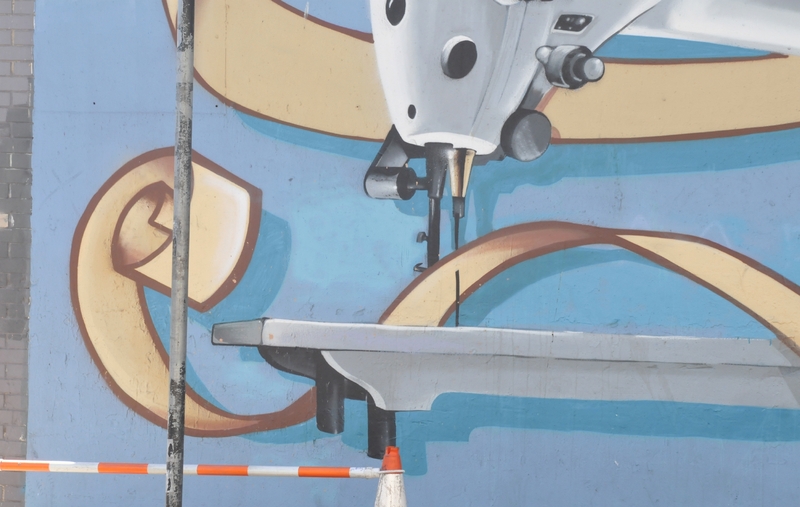 Because of road construction, the sewing machine appeared to be floating over a highway cone. 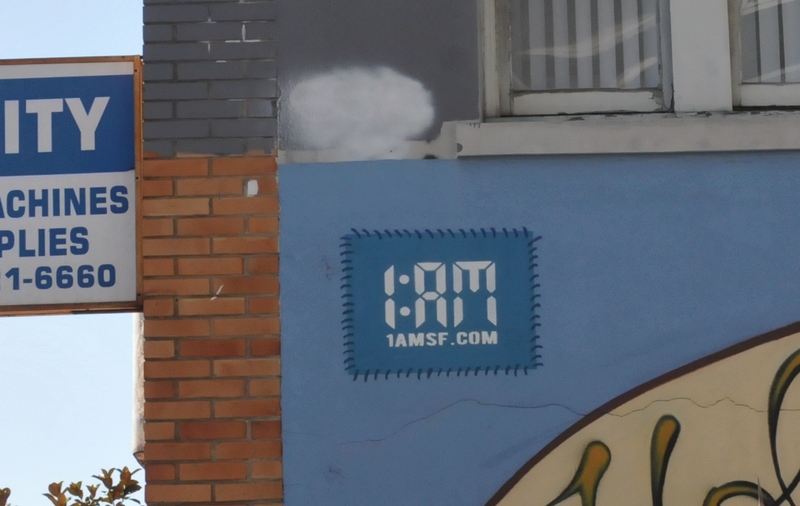 The 1AM logo was drawn on the wall with dashes along its edge. 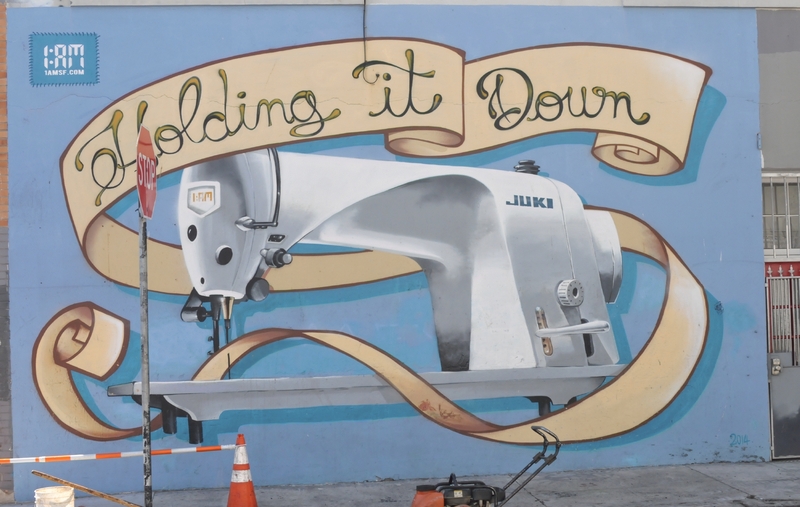 This gave the logo the appearance of a patch sewn to the side of the building. 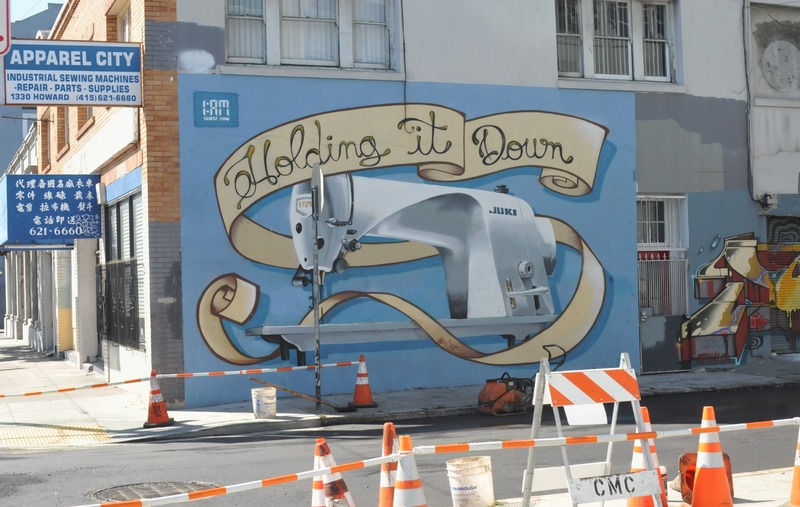 The mural showed a Juki brand sewing machine sewing a long ribbon with the words "Holding It Down" embroidered along its face. The head of the sewing machine also had the 1AM logo printed on it in red letters. 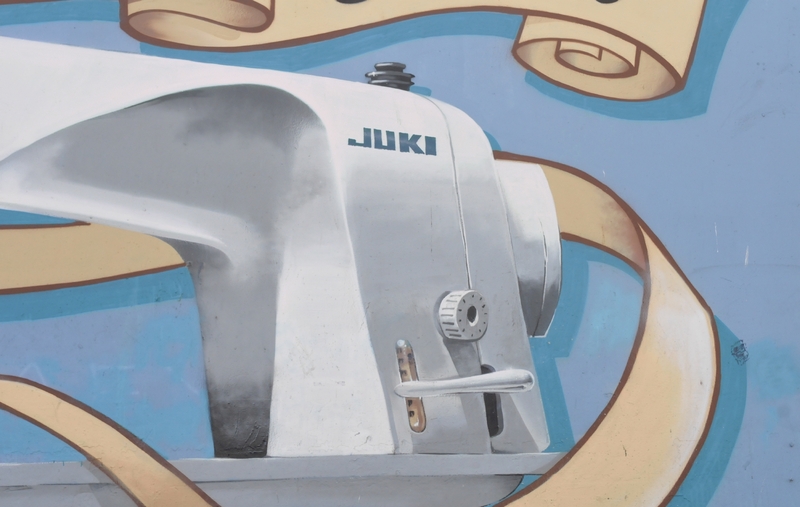 The rear end of the sewing machine was labeled, "Juki" for the Juki Company of Japan. 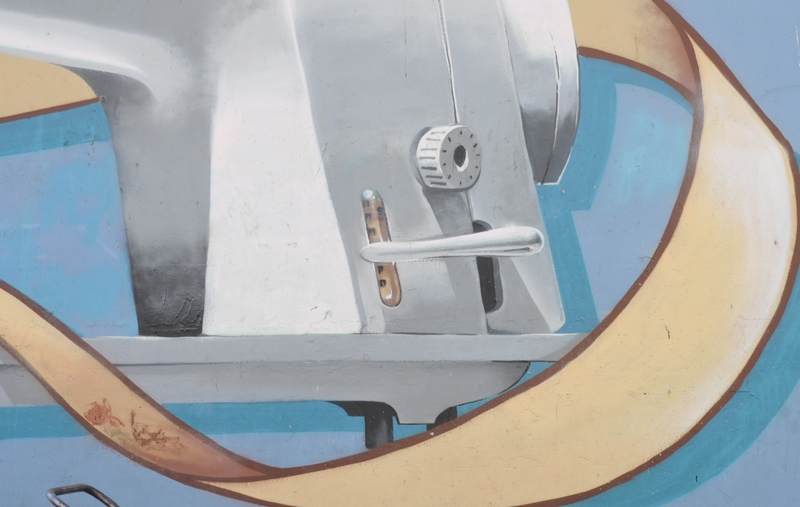 The lower part of the rear of the sewing machine showed the forward/reverse lever and the stitch length knob. 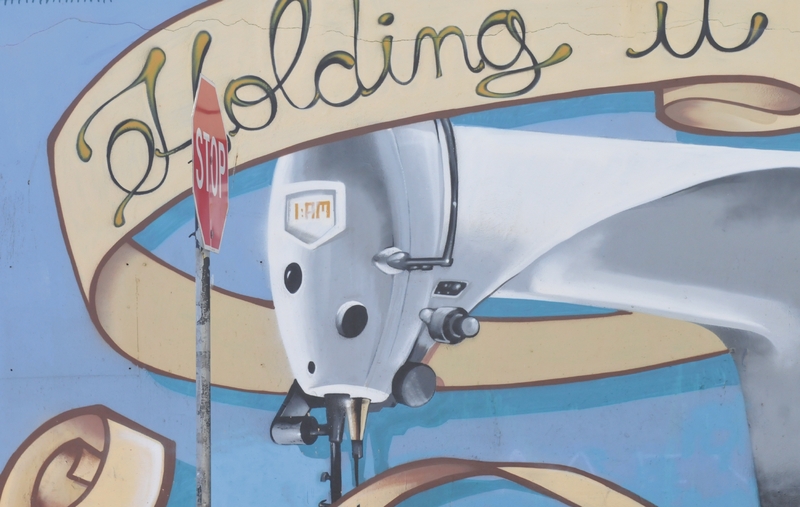 The Apparel City mural was located on the side of the Apparel City building at the end of Washburn Street where it hit Howard Street. 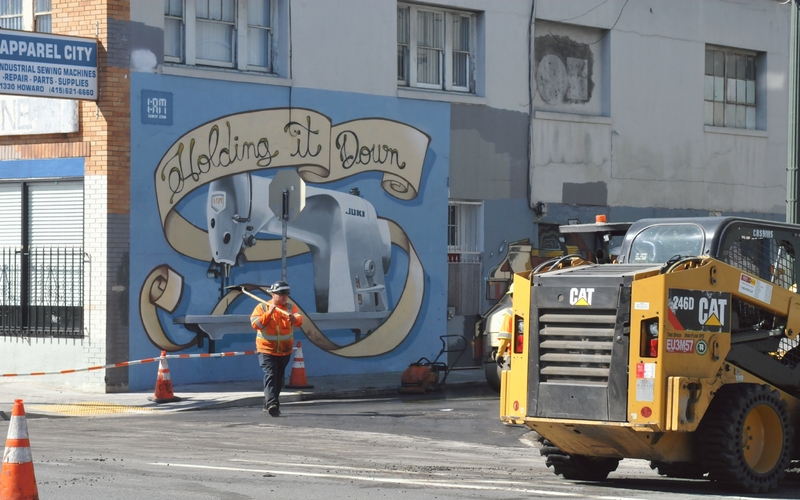 A worker walking away from the mural provided a sense of the size of the mural.